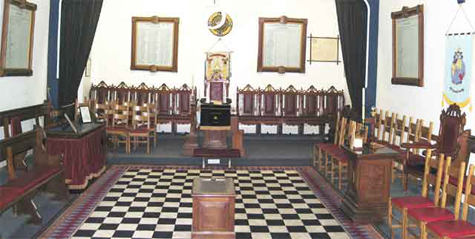 Anton Lodge which takes its name from the River Anton which flows through Andover and the Test Valley meets at the Masonic Hall, Andover, Hampshire on the first Thursday of every month from September to May inclusive. The Lodge Masonic Year starts in March with the installation of the Worshipful Master and his Officers. If you require information about Freemasonry in general then please visit the web site of either The United Grand Lodge of England or The Provincial Grand Lodge of Hampshire and Isle of Wight.